The green wall at the Public Safety Answering Center building. 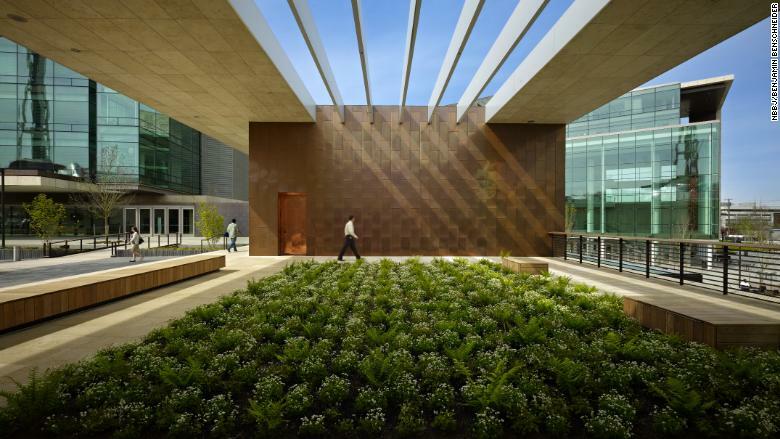 The Bill and Melinda Gates Foundation campus in Seattle -- designed by architecture firm NBBJ -- has also put a big emphasis on sustainability. It features a 1 million gallon underground tank that stores rainwater to use for toilets, irrigation and reflecting pools. Another tank stores chilled water at night, which is recirculated during the day to cool the buildings and minimize energy use. "It's good for the corporate image to be responsible and align [yourself] with sustainability," said Dominique Bonte, vice president of end markets at ABI Research, who covers smart cities. 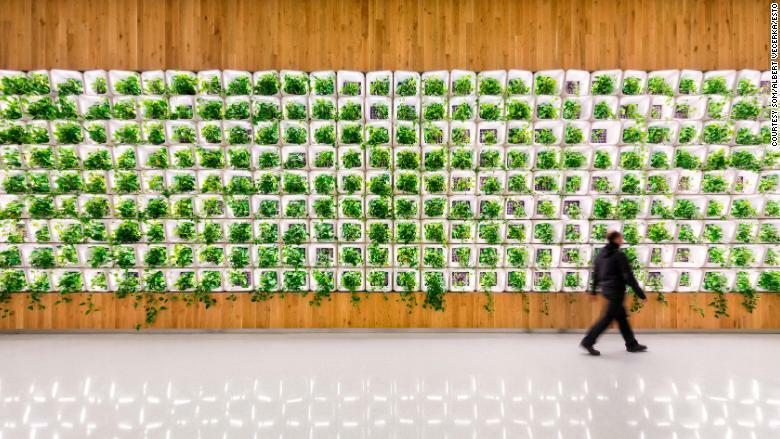 "At the same time, it conveys an image of innovation and showcases how the company designs buildings [and uses] green technology to achieve that objective of carbon neutral." The Bill and Melinda Gates Foundation headquarters in Seattle. The goal is for buildings to become self-sufficient, and eventually be able to produce more energy than they use. "The aim would be that they don't require outside resources for heating or power needs," Bonte said. "Everything is recycled or generated on the spot." Ryan Mullenix, workplace design partner at NBBJ, believes we will start to see such buildings in the next five years. "The built environment is well known for having a substantial carbon impact. We have to up our game," he said. "Right now we're getting through the cost implications." More companies are expected to adapt these designs as the technology advances and prices come down, especially because, experts say, environmentally-friendly buildings can reduce a company's long-term operating costs. The Bullitt Center in Seattle is an example of the direction buildings could be going, Mullenix says. Some of the building's features include solar panels on the roof and waterless toilets that transfer human waste to composters to be used as fertilizer. Rainwater is also captured in a tank and converted into drinking water. The building is net positive, which means it has generated more energy from the solar panels on its roof than it has used over the past five years, according to a spokesperson. The Bullitt Center produced 20% more energy than it used in 2017, the spokesperson said. Denis Hayes, the CEO of the Bullitt Foundation, says the aim of the center is to show what's possible for a commercial building with current technology. 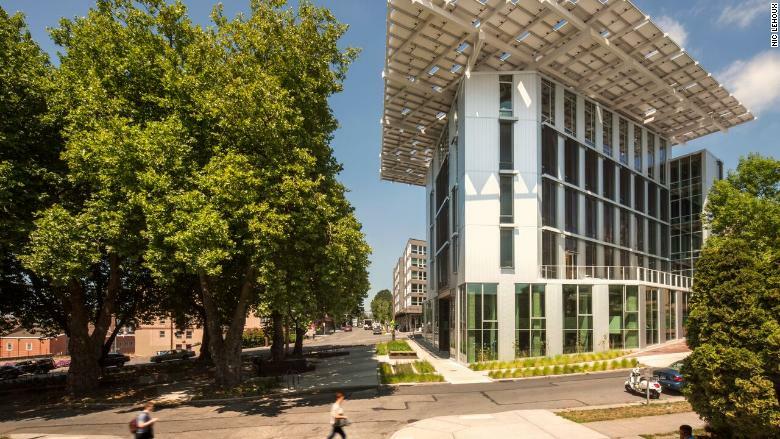 The Bullitt Center in Seattle generates its own energy on-site. A similar real-world demonstration is under way for the new office of the Sustainable Energy Fund in Pennsylvania. When complete, the aim is for the total amount of energy used by the building annually to be about equal to the renewable energy created on-site. "The goal of that project is to test the feasibility of doing a net zero energy office building at the typical construction rate," said Andrew Schuster, a principal at Ashley McGraw Architects, the firm behind the project. "It's 15,000 square feet, but we're hoping that can scale to a much larger footprint." Net zero energy buildings have begun to garner attention in recent years, but they are not commonplace. There are 70 certified zero energy buildings worldwide as of 2018, according to the International Living Future Institute (ILFI), which tracks such projects and awards certification. 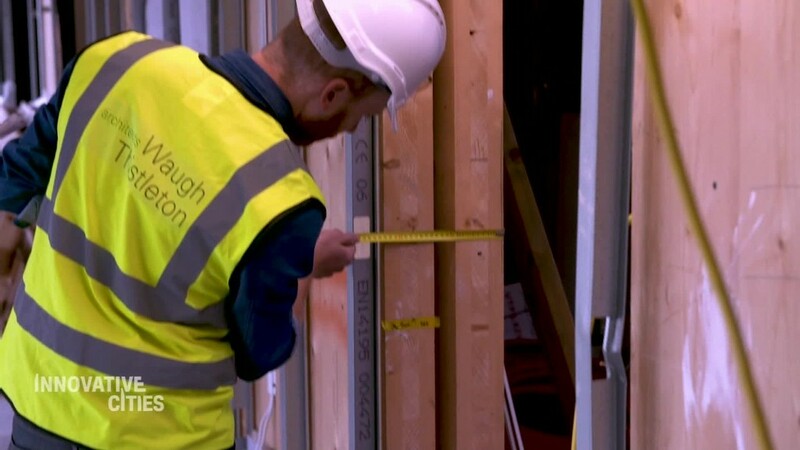 To become certified, a building must provide documentation such as energy bills and performance data for at least 12 months. A third-party auditor works with ILFI on the certification process. In 2013, there were just 11 certified net zero energy buildings, according to ILFI. Currently there are 402 registered projects around the world that have not yet obtained certification. Ultimately though, the goal is for buildings to generate more energy and resources than they need. "We hope the future is more net positive than just net zero," said Kate Davis, a principal at architectural design firm HKS. "It's about actually giving something back."